Mexico has somehow gained a reputation for only catering to all-inclusive resort goers, or for being too dangerous for. Neither of which are true. Backpacking Mexico is a trip you’ll never forget. Sure, Cabo San Lucas, Cancun, Puerto Vallarta and Mazatlan are popular with people on a one week holiday, and yes, there are some very dangerous areas in the country. 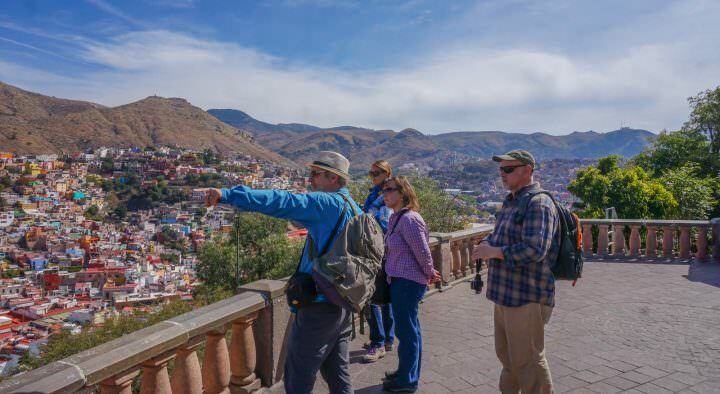 But once you’re on the ground and are actually backpacking Mexico, you’ll see that this country has a lot to offer adventurers, history lovers, culture-seekers and independent travellers. 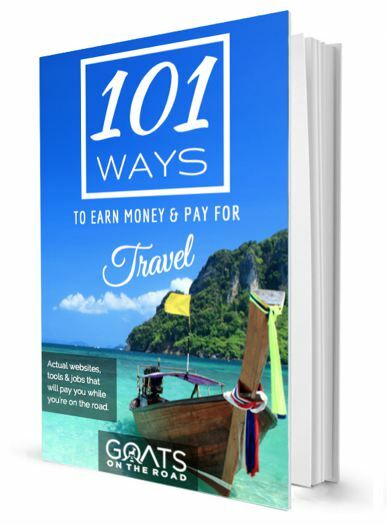 One of the things that backpackers think about most when choosing a country to visit is the cost of travel. Mexico may not be as bargain-basement cheap as places in Asia or some parts of Central America, but it is definitely affordable. Whether you’re on a strict budget, or if you consider yourself more of a midrange backpacker, this country has you covered. If you don’t mind travelling in the off-season, you’ll find even better value for money outside of the peak November to March season. For budget backpackers, you can get by on very little here. Although, you’ll have to forego some comforts. Camping on the beaches (especially on the Pacific Coast) is possible, plus, it’s fun and free. Dorm beds cost around 150 pesos per person, while double private rooms go for 450 – 600 pesos. 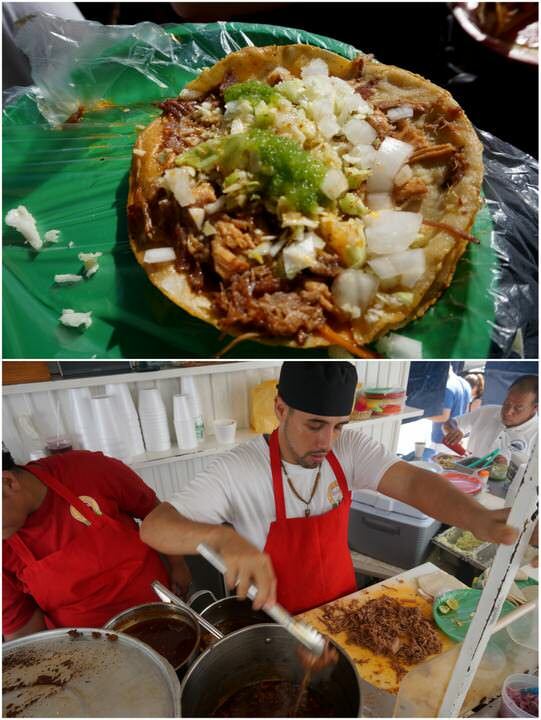 Typical Mexican snack food is very cheap – tacos, quesadillas, sopes, tortas, tostadas, etc. can all be had in small restaurants or on the street for 7 – 20 pesos each. A sit down meal / plate of food will set you back 50 – 150 pesos. When backpacking Mexico, you won’t be complaining about the cost of food whatsoever. Transportation is what eats the budget in Mexico. Because of the hefty tolls on many of the highways, buses charge around $7 – $10 / hour. If you book the same day, or go for second class (when available) the cost can be much less. Hitch-hiking is another way to get around, and it’s free. There are also a few low-cost domestic airlines, which frequently have discounts. A daily budget for a couple in Mexico would vary from around $20 USD/day (camping, hitch-hiking, cooking for yourself, eating street food) to $70 USD/day or more. At $70/day, you’ll be able to enjoy sit-down meals in restaurants, comfortable buses, private double rooms and the occasional activity. Of course, the slower you travel, the lower your costs in Mexico will be. 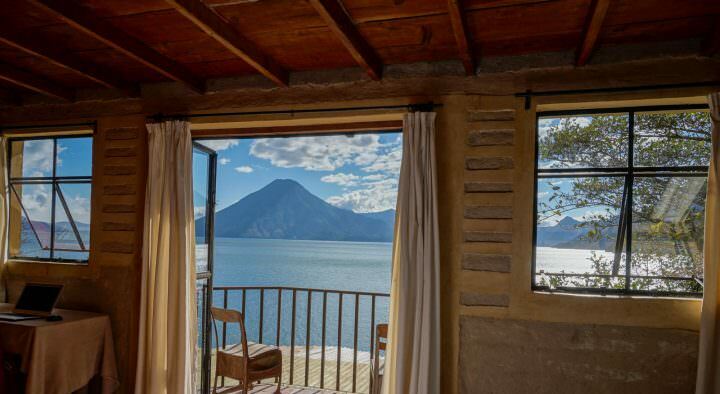 There are some amazing accommodation options in Mexico. From boutique hotels to funky hostels, this country has a type of accommodation to suit everyone. When backpacking, you sometimes come across a country that is cheap to travel in, and your purchases are really affordable…but what that tends to mean is that things are lacking in quality. You’re not spending much, but you’re not getting much either. Other times, you end up spending a fortune on accommodation, food and activities (Africa!) and the value for money just isn’t there. One of the great things about Mexico is that you get more bang for your buck than in most other parts around the world. Rooms may be around $40 a night for a double room (vs. $20 in Thailand), but you get a private bathroom with hot water shower, the room is clean, the beds and pillows are comfortable, there’s air-conditioning, breakfast is included, there’s furniture in the room, etc. 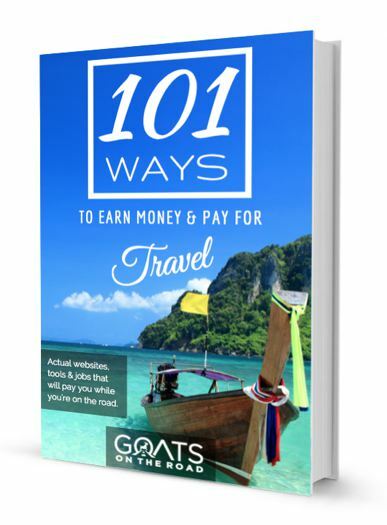 Whereas in Thailand, you’ll probably have a shared bathroom, small room, no breakfast, springy bed and just a fan. Buses can cost quite a bit when backpacking in Mexico, even by North American standards, but the 1st class seats are large and comfortable and they recline with a nice leg rest. There’s a/c on the buses, a light lunch is provided, they travel direct without any stops, there’s a bathroom on board and (here’s the best part) there’s wi-fi on the bus. Great value for money. The food is excellent in Mexico and whether you’re having a cheap street meal, or a nice plate of food at a restaurant, you’ll be happy with the portions and flavour. Meals are large and good quality ingredients are used in the preparation, you won’t likely find any random bits of meat in your taco. All of the food is excellent quality, sanitation standards are high (except for maybe a few taco stands) and the bang for your buck is incredible. If you’re backpacking Mexico and aren’t camping, then you’ll most likely be staying in a hostel. Luckily, Mexico has some the best hostels… ever. After 6 months of backpacking Mexico, we can honestly say that as a whole, the hostels were fantastic. 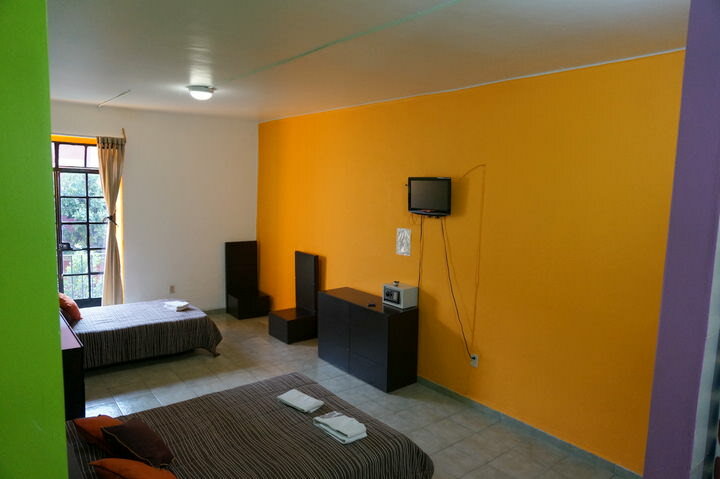 The rooms in Mexico are clean and come with basic amenities that you sometimes don’t expect from hostels in other countries, such as soap in the bathroom, hot water showers, bath towels and a daily cleaning of your room. Typically, breakfast will be included in the room price, and in the case of the hostel we stayed at in Mexico City, dinner was included. Wi-fi is always available in the hostel and oftentimes there will be a pool and a communal kitchen. You’ll usually find an area for chilling out in a hammock or sunbed. Many of the hostels also have special events each night – live music, salsa lessons and cooking classes. ☞ Hostel Moloch – 8.6/10 rating. Check out the latest price of Hostel Moloch on HostelWorld. 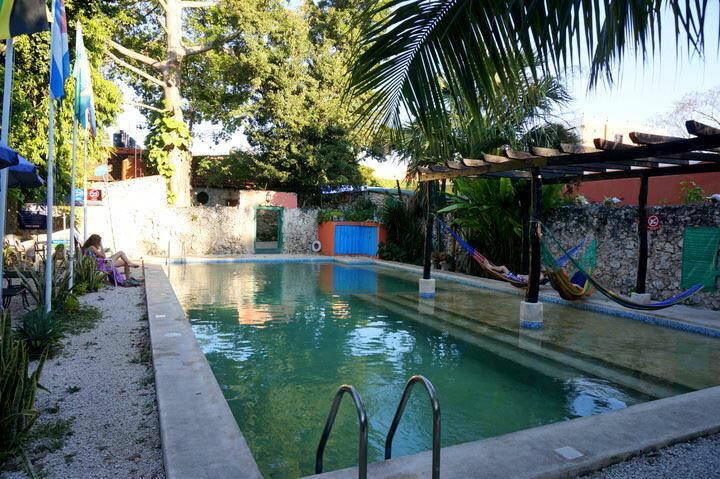 ☞ Mezcal Hostel – 9.2/10 rating. Check out the latest price of Mezcal Hostel on Booking.com or HostelWorld. ☞ Suites DF Hostal – 9.1/10 rating. Check out the latest price of Suites DF Hostal on Booking.com or HostelWorld. ☞ Blue Pepper Downtown – 8.5/10 rating – See our review here. Check out the latest price of Blue Pepper on Booking.com or HostelWorld. ☞ Hostel Hospedarte – 9.0/10 rating – The top rated hostel in Guadalajara! Check out the latest price on Booking.com or HostelWorld. 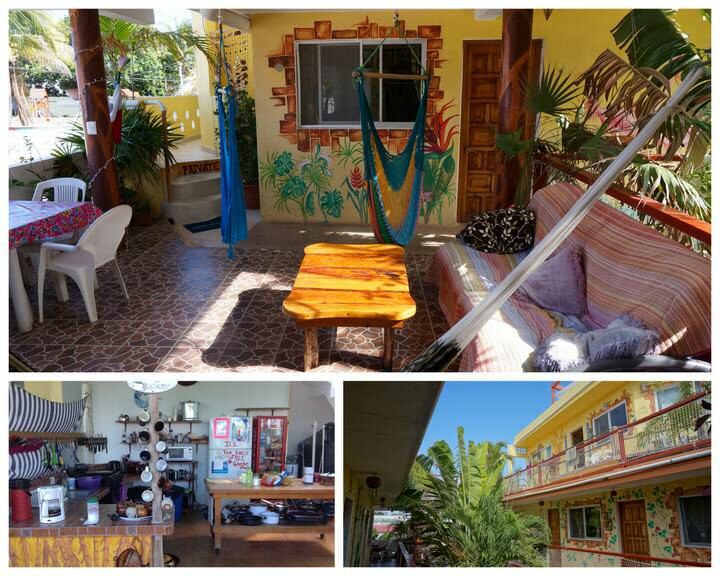 Losdeli Hostel in Puerto Escondido – Away from the busy beach area in a quiet, beautiful location. Close to the best swimming beaches, swimming pool, basic breakfast, communal kitchen, hammocks, friendly staff and good wi-fi. Hotel Catedral in Puerto Vallarta – Very affordable, clean, beautiful boutique building, awesome location, wi-fi and friendly staff. See our article here. Hotel Las Palmas on Isla Mujeres – A range of rooms and costs, huge rooftop terrace, communal kitchen, small pool, hammocks, friendly owners, wi-fi and library. See our review here. We frequently say that the people of (insert a wide variety of countries here) are the most friendly in the world and Mexicans are no exception. Us westerners have taken over their beaches and towns and they still treat us like welcomed guests in their country. Sure, tourism provides jobs, but Mexico has seen some mass tourism and for the most part, the local people aren’t jaded by the gringo invasion. They’re always willing to help out with directions, they will try to speak with you on the bus, they’re patient when listening to your pathetic attempts at speaking Spanish and are genuinely kind. 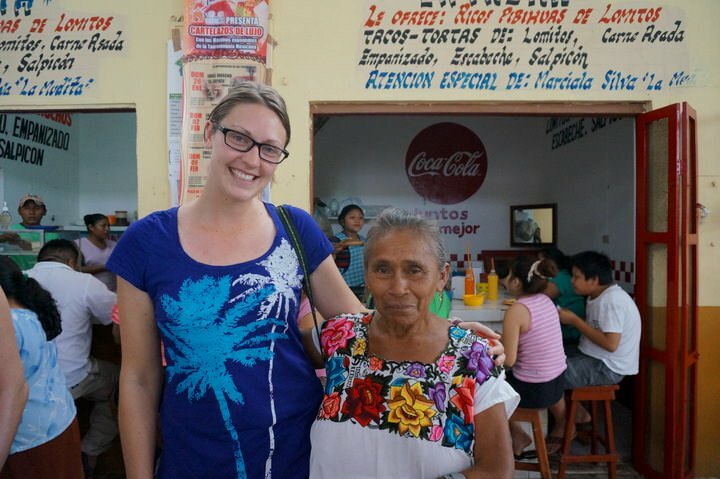 When backpacking Mexico, expect to have some genuine experiences with the local people. There’s a reason why this is such a popular resort country, the beaches in Mexico are incredible. Soft, white powdery sands and turquoise waters can be found on the Caribbean side, while on the Pacific side, there’s a wide range of deep blue waters and emerald coves with golden coloured sand. Isla Holbox, Isla Mujeres, Puerto Escondido, San Pancho, Puerto Vallarta and Mazunte are some good beach spots when backpacking Mexico. Food is such a huge part of travel. It unites people, cultures and customs. Being invited into someone’s home for a meal is such an honour and learning how various ingredients have evolved over the years to create a country’s cuisine is quite fascinating. Mexico has one of the most famous cuisines in the world. In fact, Mexican food was recently added to the Intangible Cultural Heritage of Humanity list by UNESCO. Many people think that Mexican food is basically just tacos, nachos and burritos. When in reality, the cuisine in this country is very diverse and full of flavour (note: burritos aren’t Mexican at all, they were invented in the USA). Each region has its own dishes, and even some cities have their specialties. The state of Oaxaca is known for its incredible mole sauces, chocolate and cheeses. When in Jalisco State, make sure to try the birria, which is a stewed spicy goat/beef meat with onion and lime. In Guadalajara, make sure to try the torta ahogada (Drowned Sandwich), which is a pork sandwich partially submerged in a spicy tomatoes sauce with onions. This is said to be the hangover cure! Along any of the coastlines, opt for fresh seafood meals. Shrimp can be bought for a mere 150 pesos/kg from the local fishermen. 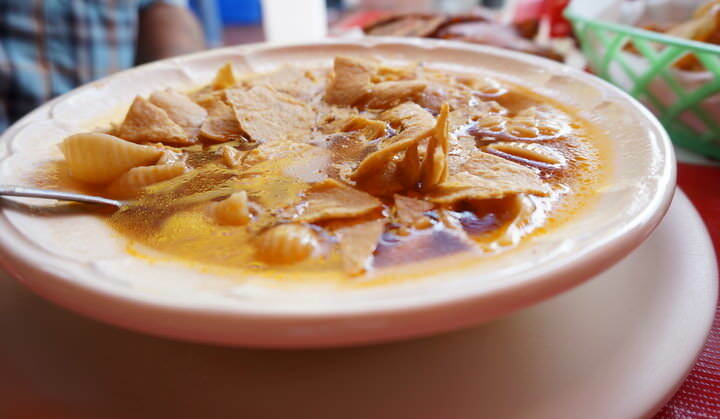 In the Yucatan, there are numerous food options. You’ll have no problem eating your way through this country. 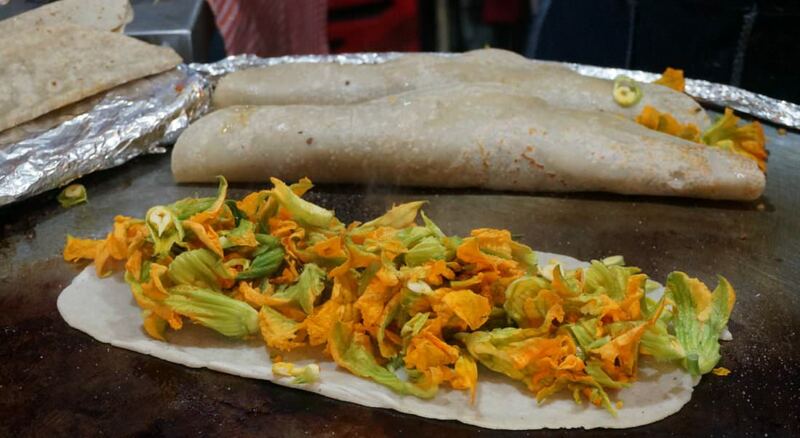 Definitely go on a food tour if you can while backpacking Mexico. You’ll learn so much about the history of the cuisine, how to make various dishes, and of course, eat a lot of great food. 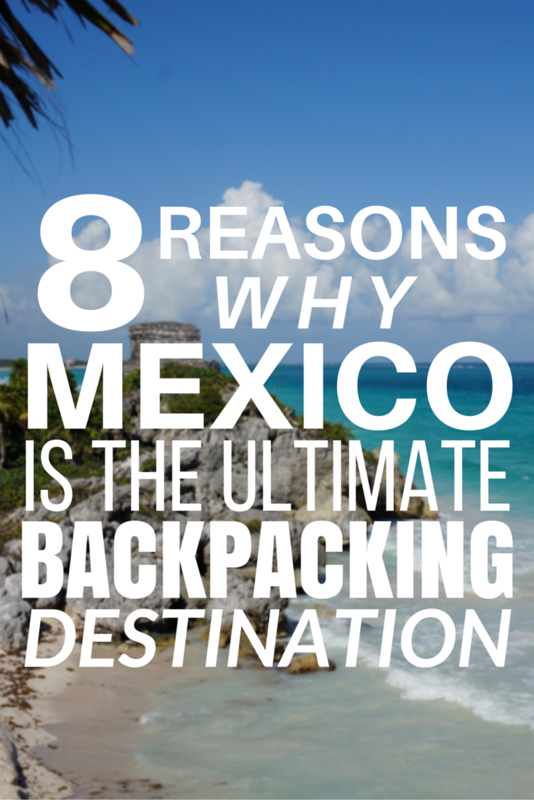 You’ll never be bored while backpacking Mexico. No matter what you’re interested in, you’ll find it here. The Pacific coast is an excellent spot for surfing and boogie boarding. You can rent a board for the day, or bring your own. During the winter months, you can go on whale and dolphin watching tours on the Pacific side. However, if you want to save some cash, just keep an eye out and you’ll likely spot some whales from land. Around Punta de Mita and San Pancho, it’s definitely possible to do some land-based whale watching. You can also witness baby turtles being released into the wild on many beaches around the country. On the Caribbean side, sailing, snorkelling and just chilling out on the beach are the perfect past-times. Snorkel gear is cheap, while sailing could cost a bit more. Get some friends together to split the cost of the boat. Scuba diving is excellent here as well with two dives costing around $75. The more dives you do, the less it will cost. 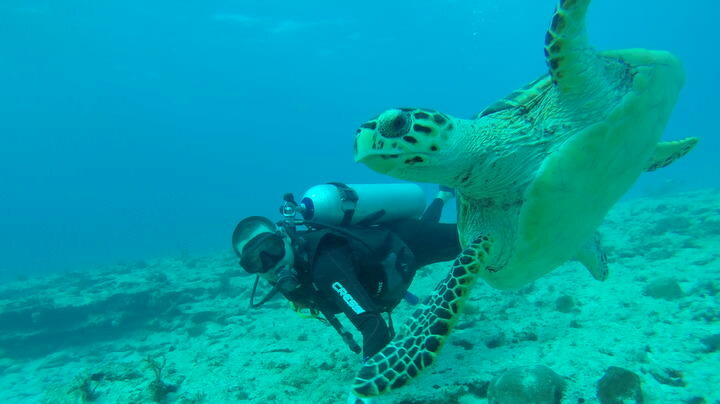 Diving is more expensive here than in other parts of Central America and Asia, but the visibility, wildlife, equipment and boats are top-notch. There are numerous cenotes in the Yucatan that you can explore, either independently for free (or a very small fee), or you can go on a tour. Plus, you can go diving in a cenote! Renting a bicycle in places like Tulum and Valladolid to explore the freshwater caverns yourself is a lot of fun. In fact, renting a bike anywhere is a great idea. In the mountains, village treks are available, as are independent walks and volcano hiking. Waterfalls, bird watching, river safaris, zip-lining, cave exploration are all on offer in Mexico. Even if you’re not usually interested in museums and ancient sites, while you’re backpacing Mexico, you’ll be blown away by the ruins. Chichen Itza, a Wonder Of The World, is just one of the many incredible Mayan sites. Visit the ruins set in the thick jungle of Palenque, or the unique architecture at Uxmal. Climb the crumbling steps up to Coba, and wander through the impressive ancient city of Teotihuacan – an hour or so outside of Mexico City. The relics of Tulum are set on a cliffside with incredible views over the Caribbean Sea. The swimming there is great as well so bring your bathing suit. Other nominations are Ek Balam and Dzibilchaltun. Now matter how many ancient sites you see, each one is unique and interesting in its own way. Mexico offers the traveller nothing but adventure, excitement, and fun. If you’re not interested in being all that adventurous, there’s ample opportunity for beach-bumming and sipping Coronas in a hammock. 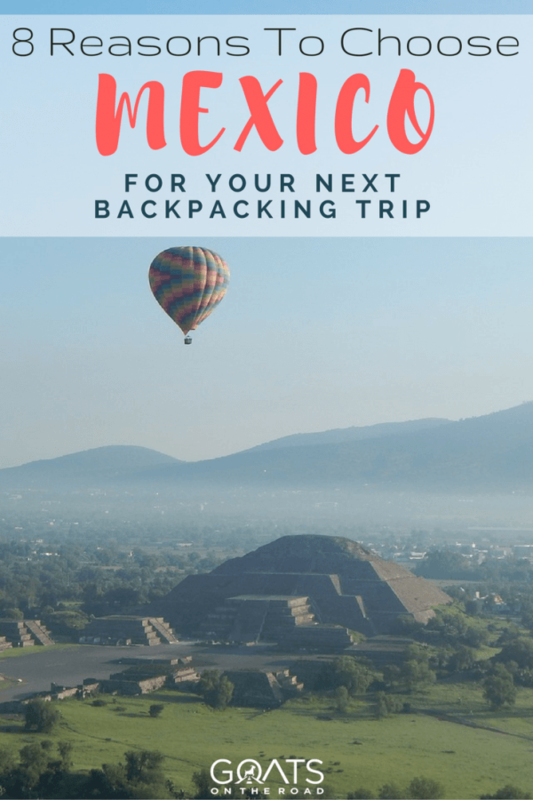 Everything about this country speaks to backpackers, so pack your bags and book your flight, Mexico is waiting for you. Exploring Guadalajara, Mexico – Mariachi, Museums and Markets! Great article! I am currently traveling through Mexico (am on Isla Holbox right now) and can only agree with everything you say. I love the food of the small restaurants: Tacos, Tostadas, Tortas…after being here for more than 2 months I still haven’t had enough. I only stayed in very nice hostels so far. 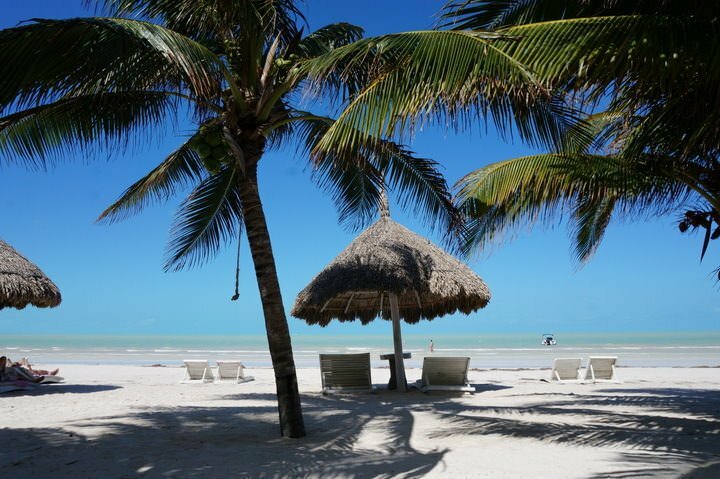 Glad to hear you agree 🙂 Isn’t Isla Holbox amazing? We loved it there. Keep on enjoying Mexico! Ssssh, don’t tell everyone! Seriously though, when we sit at night and think of the best places in the world to travel, Mexico is almost always at #1. There is probably nowhere that compares value, culture, food, people, and beaches like Mexico. We stayed at Nomadas in Merida too, lol! It’s so true, we really think Mexico has it all. The value is incredible isn’t it? Nomadas was awesome! The best hostel ever. Thanks for the comment 🙂 Where in the world are you? My favourite latin american country and one of my favourite countries over all. 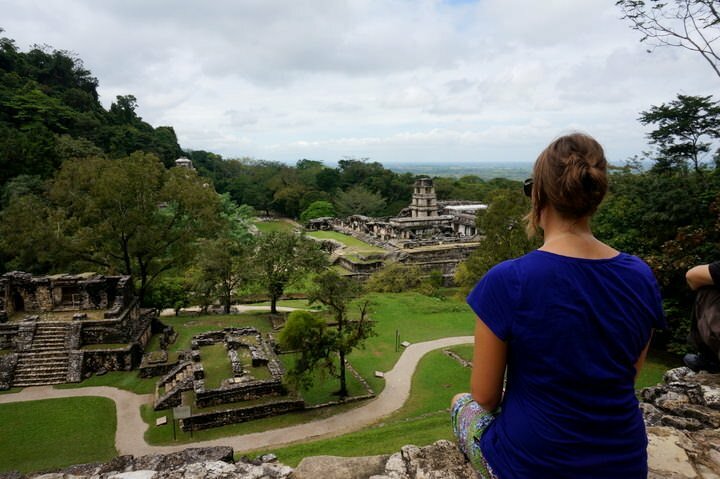 I felt safer in Mexico than a few other Central and South American countries and loved the diversity of landscapes as well as the incredible ruins (Palenque was my favourite). Can’t wait to go back and see more! Totally agree, we feel 100% safe here. Obviously, there are some parts of the country that are dangerous and people shouldn’t go to, but as a tourist, we wouldn’t find ourselves there. What’s your second favourite country in Latin America? Hey Goats! Love the article and of course, couldn’t agree with you more! Although Sam and I are driving around Mexico rather than backpacking – we are staying in hostels and camping as much as possible. We’ve had nothing but great food, great value, great experiences! I’m tempted to echo Scott’s comments though – SHHHH…let’s continue to let people think this place is Uber scarey and dangerous!!! Just kidding! I’ve been saddened throughout our first 6 months here – to come across so much misinformation and BAD information about where to go and where not to DARE go! I totally agree! The media in the western world always shows the negative and although there are dangerous areas, if you’re smart and stick to the touristy places, you’ll be just fine! Thanks for the information! I’m planning a trip to Mexico very soon for some volunteer work, visiting an uncle, and exploring. I’ve been to Mexico several times up until my teen years and I was always with family. Safety is big concern when I mention traveling to a Latin American country to friends and family but I wish more people would realize that it’s not as bad as the media portrays it. Despite this belief I still find myself questioning if I’m being naive about it all. To see a post like this puts me at ease. But I do have to ask, do you always stay together when traveling in Mexico? I’m a solo female traveler and I just wonder if I should find a travel buddy before I set off on my own. There are definitely some sketchy areas in Latin America, actually, the most dangerous cities in the world can be found in this region, but there are many safe places too! We travel together, but there are many travellers, both female and male in the region. If you want a travel buddy, you will definitely meet up with people at hostels! Do your research, but don’t be overly paranoid. Enjoy! Good article because so many people are hesitate of going to Mexico media hypes it up because of the drug trafficking. I’ve always loved it and always has been a bargain with great food. Agreed! Great food, people, prices and sights. Obviously there are dangerous areas, but we would never find ourselves there. Hey Guys, super article and so glad you’re speaking the mexican love! I was there in 2010 and thought it was such a great country, not least because it so cheap, especially in the south! We free camped on the beaches of Isla de Mujures for week and then scored some free accommodation in Mazunte too! Its great as legally no Mexican beach can be deemed private property so you can set up your tent wherever you like on them! San Cristobal de Las Casas is also a winner and probably my favourite town in the whole of Latin America! Hope you get to see it! Awesome!! That’s what we loved about Mexico too, the fact that the beaches were all public. Camping can really save a lot of money. Wow this has made me really want to go to Mexico! I have in the past really just viewed it as a place for resort goers. But you have defenitly got me thinking Mexico might be my next trip! Thank You for the inspiration! 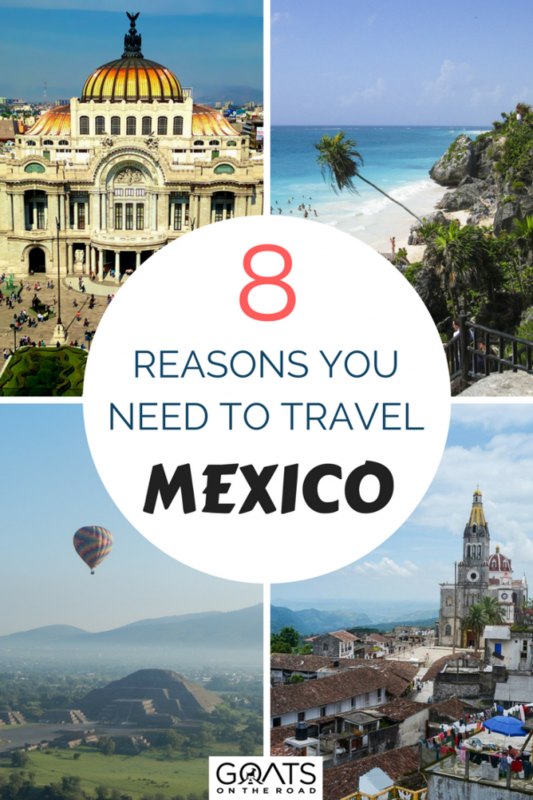 As a Mexican this list makes me happy and even want to go travel to Mexico! A really great list! Thank you for this! I’m getting ready to start my own version of the Gringo Trail later this year and am considering starting in Mexico. Do you have a route you can recommend from north to south? I live in San Diego so am considering literally walking across the border to start my epic journey! 🙂 Thoughts? Currently in Oaxaca and could not agree with you more!! I’m looking to go scuba diving, do you have any recommendations for good dive spots? Hi, I am looking at travelling to Mexico solo in October, unfortunately I can only get two and a half weeks off work 🙁 what would you say are the ‘must see/do’? I currently start planing my 2 months trip to Mexico. Thinking of start in Mexico city and go down. Any tips on routes and places for those 2 months?